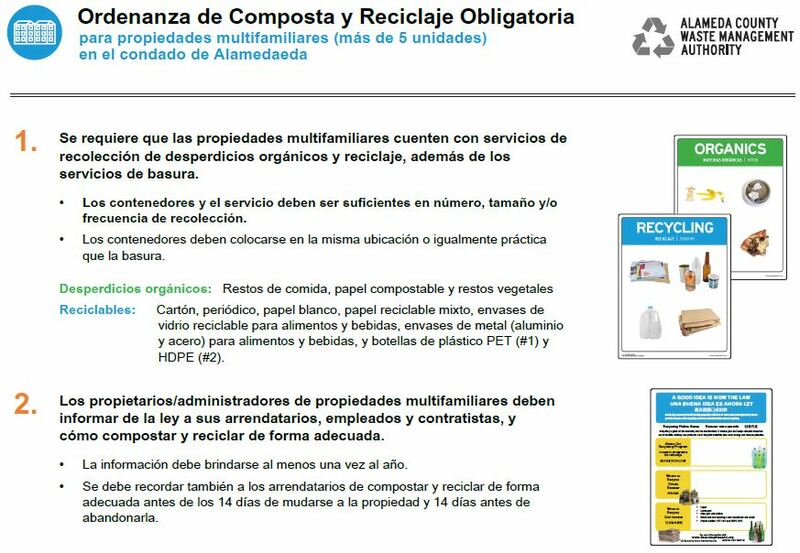 This page provides free downloadable materials to assist multi-family properties in complying with the Alameda County Waste Management Authority Mandatory Recycling Ordinance. 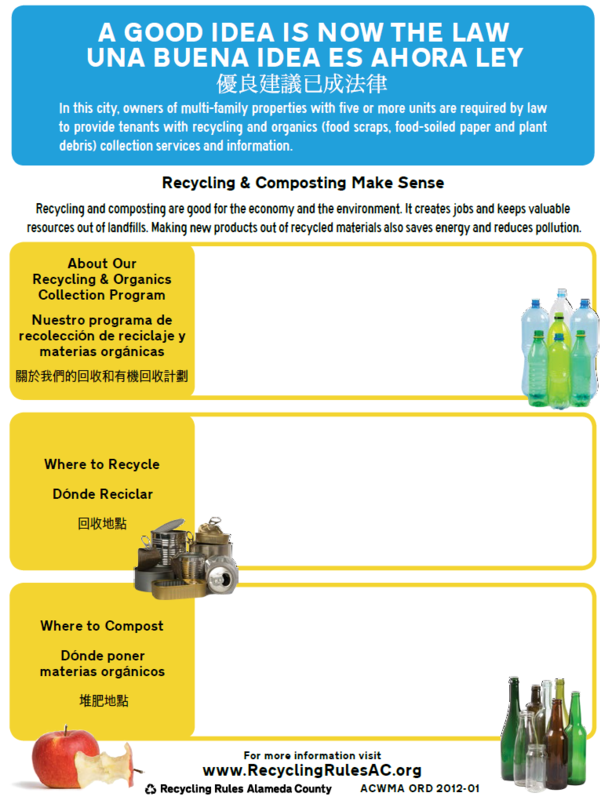 For information on how to comply with the Mandatory Recycling Ordinance, see the Multi-Family Ordinance Overview page. To find more information about recycling collection services or technical assistance available in your city, visit the Rules by City pages. This 1-page handout summarizes the compliance requirements and highlights resources available to help multi-family property owners and managers comply with the Ordinance. These flyers have been updated to reflect changes to requirements that were effective January 1, 2018, for Newark and Union City. 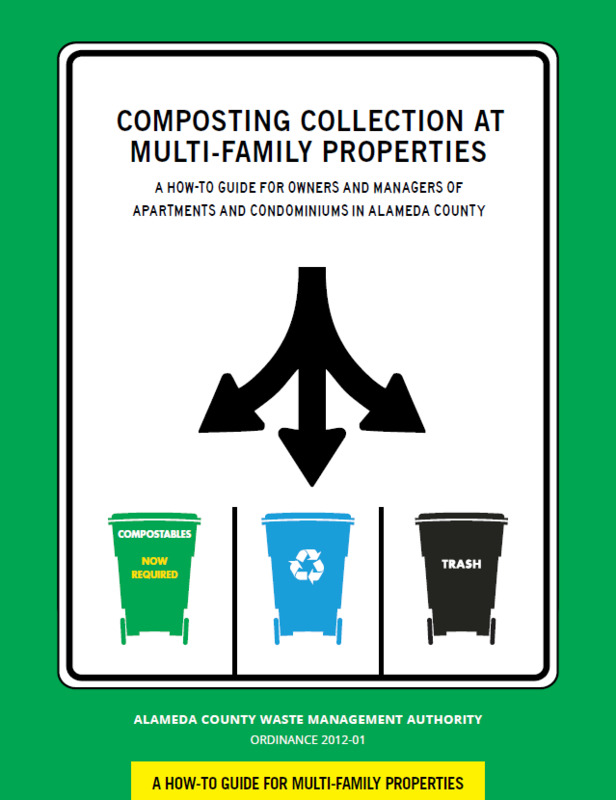 A how-to guide for multi-family properties explaining how to set-up composting or “organics” collection and how to comply with the Mandatory Recycling Ordinance. Takes you through the steps of setting up the infrastructure, getting your maintenance staff on board, unveiling the new systems and informing residents, and how to continually improve your system. Includes tips for success. 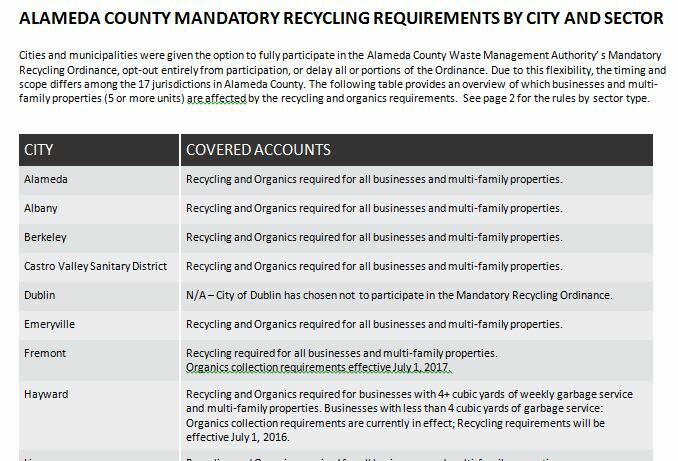 This document contains a table summarizing the covered accounts and requirements for each city in Alameda County and provides basic information on the recycling rules by sector. This may be most useful for property owners or managers that have sites in multiple cities and want to see the summary of requirements at a glance. 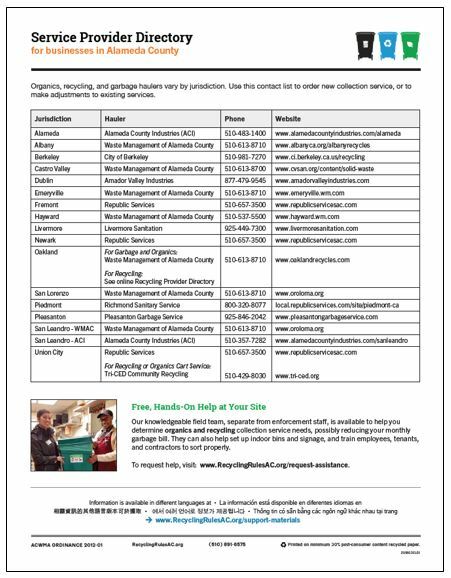 This 1-page quick reference sheet provides contact information for recycling, organics, and garbage service providers by city. This is useful particularly for building owners and managers with properties in multiple cities. More detailed information and links to city and service provider websites can be found in Rules by City pages. To help communicate the Ordinance requirements with non-English speakers, materials have been translated into Spanish, Chinese, Korean, and Vietnamese. 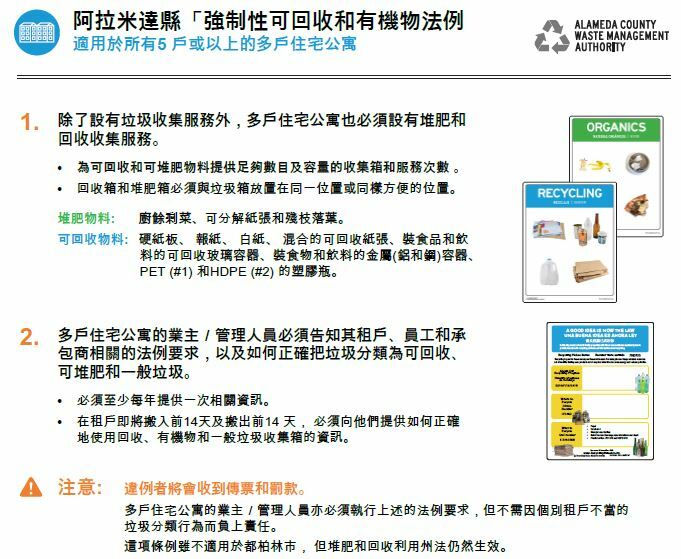 The “Overview Flyers” provide a one-page summary of the Recycling Rules and resources available. 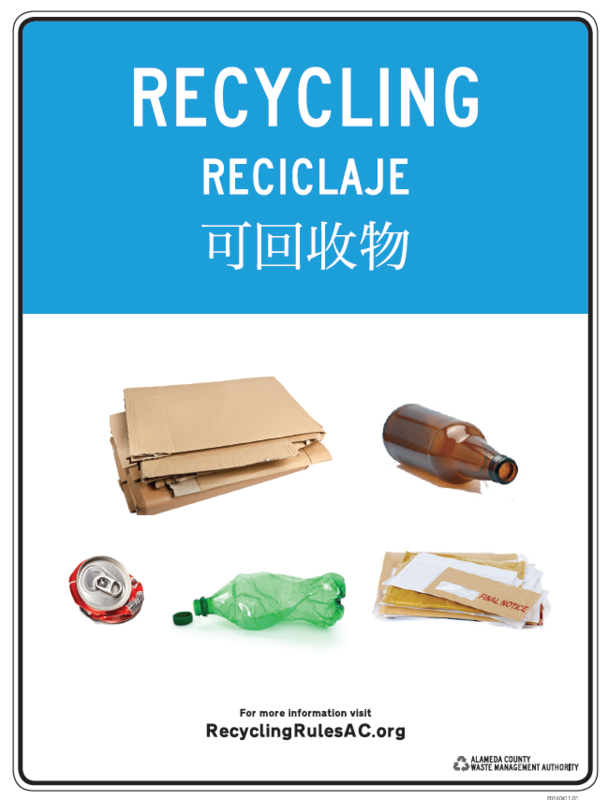 For the Chinese, Vietnamese and Korean translations, there are two versions – one for cities with organics and recycling requirements, and one for cities with recycling requirements. These flyers have been updated to reflect changes to requirements that were effective January 1, 2018, in Newark and Union City. Recommended: Post prominent signs on or near the recycling and garbage containers clearly indicating which are for garbage and which are for recycling. Use posters or decals that contain drawings or pictures of the materials that go into each container. This helps people understand with a quick glance how to sort the materials properly. Many haulers and cities can supply you with posters and/or decals that are specific to the materials they accept. Downloadable support material specific to cities, such as posters, can be accessed by clicking on your city link in the City Specific Support Materials section below. If your service provider or city does not offer signage, you may use any applicable general signage in this section. This printable poster can be placed near recycling bins to remind employees and tenants to separate garbage and recyclable materials. 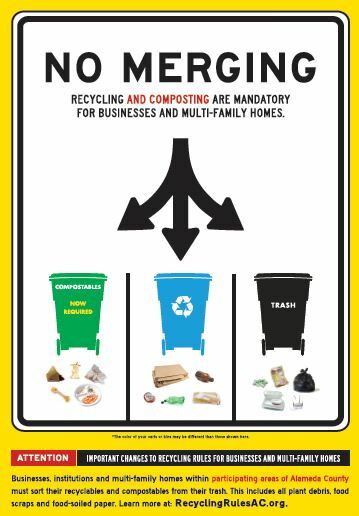 This printable poster can be placed near bins to remind employees and tenants to separate garbage, recyclable and compostable materials. These individual signs can be posted near recycling, compostables and garbage bins to show the basic types of materials that go in each container. Cities and service providers may also have signs specific to the materials accepted locally. It’s best to place recycling, organics and garbage containers in the same location. However, when buildings are equipped with Garbage-only chutes, recycling containers may be placed at other locations on the property. 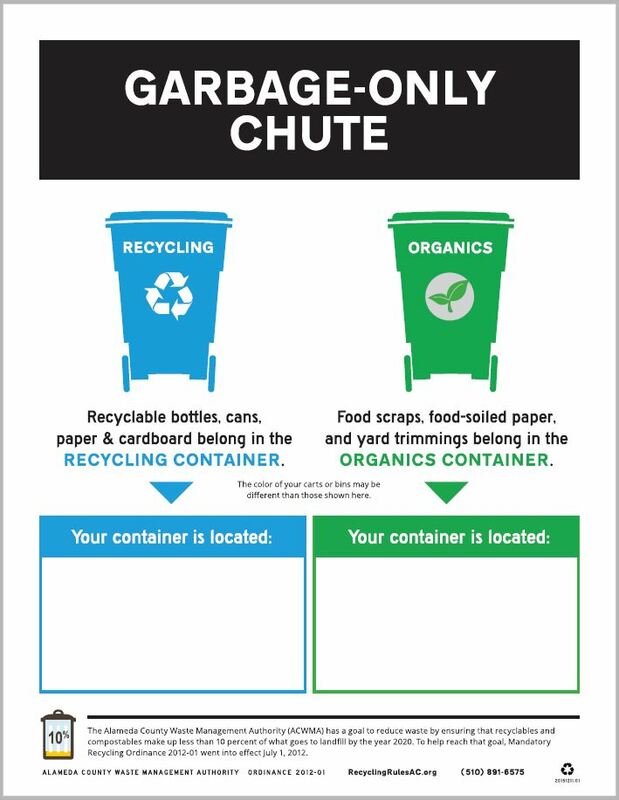 If your property has a garbage-only chute, print this sign and use a marker to write-in the location(s) where tenants will find the recycling and/or organics containers. Post in each chute location. Make your own instructional recycling signs using our new Sign Maker Tool. It’s best to pick items people tend to put in the wrong place, and to select as few items as possible. Important note: Most recycling service providers do not allow other signage on their bins. Most have labels on their bins that show what can and can’t be recycled. The labels on the bins provide the most accurate information for residents. The downloadable signs on this page are best posted on walls or other surfaces near the bins. Customize your poster to help employees and custodians put things in the right place. Choose the bags, bins, and pick-up days for your site, then print your 8.5” x 11” poster and hang in a prominent location as a daily reminder. Also works great for your annual recycling reminder to employees, tenants, and contractors. These materials can help you comply with the ordinance’s resident notification requirements. You can customize one of these notices or create your own. This flyer includes the information that the ordinance requires property managers to provide to their residents annually and when moving in and moving out. This version is appropriate for a program that only includes recycling collection. See below for the version that includes organics/compostables collection in addition to recycling, that would be more appropriate in cities that have Phase 2 organics requirements. Download the flyer, customize it for your building, and then either print it and give it to residents, or save it as a PDF and email it to residents. How to customize the editable PDF: This PDF can be edited electronically by typing into the provided spaces. Adobe PDF software is required to save edits made to this file. Otherwise, the PDF can be printed and you can write in the information specific to your building. This flyer includes the information that the ordinance requires property managers to provide to their residents annually and when moving in and moving out. 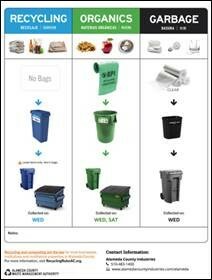 This version is appropriate for a program that includes both recycling and organics/compostables collection. See above for the version that only includes recycling collection if your property does not offer organics/compostables collection. 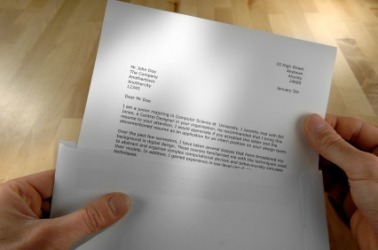 You can customize this letter for your building. The ordinance requires that it include the location of the bins and a list of recyclable materials. You can print this letter and mail it or give it to residents, or you can copy it into an email. It is designed to work as an annual, move-in, and move-out notification. NOTE: This letter template does not reflect Phase 2 requirements that took effect on July 1, 2014, adding the mandate to also separately collect compostables in certain jurisdictions. A template letter that includes compostables collection is provided below. You can customize this letter for your building when the program includes recycling and compostables collection. The ordinance requires that it include the location of the bins and a list of recyclable and compostable materials in certain jurisdictions. You can print this letter and mail it or give it to residents, or you can copy it into an email. It is designed to work as an annual, move-in, and move-out notification. If you are not sure if your city has requirements to collect compostables (food scraps and food-soiled paper), please see the Rules by City pages. 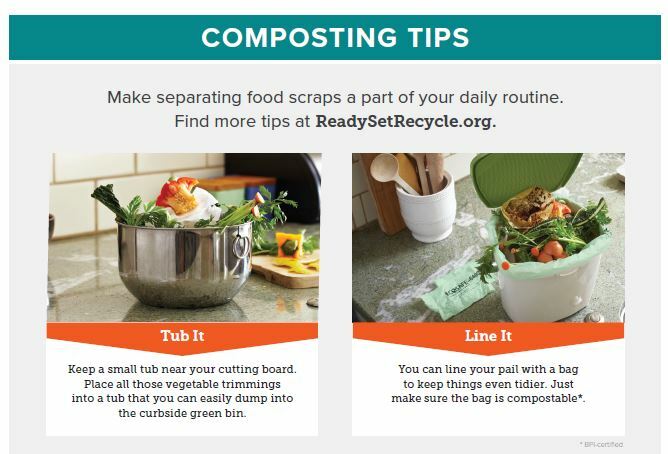 This one-page flyer is a helpful tool for residents with photos that show real-life examples of the various ways people make separating food scraps a part of their daily routine. Distribute with your annual recycling and composting reminders to residents or use it as a companion piece when distributing in-unit kitchen pails from your city or hauler. 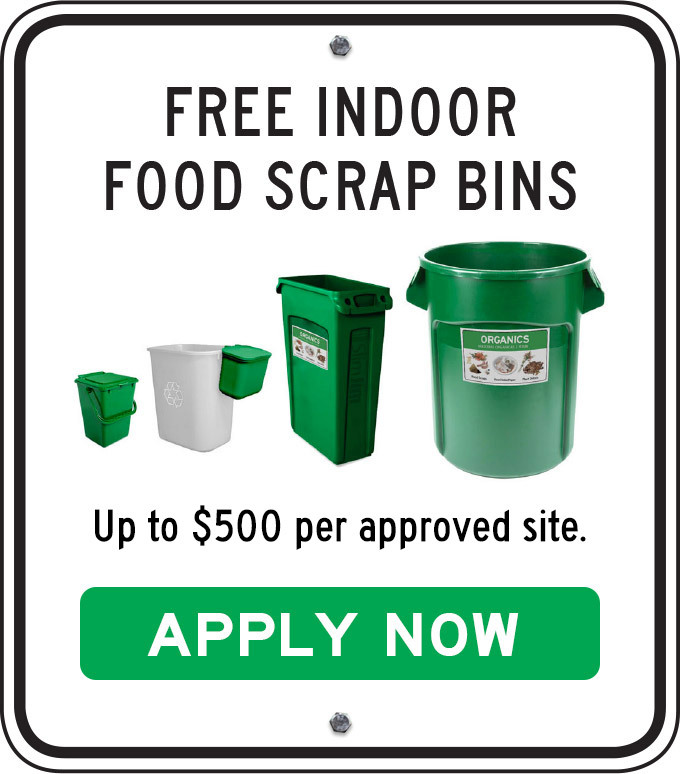 If food scrap pails are not available from your city or hauler, you may request them through our Free Indoor Food Scrap Bin program. 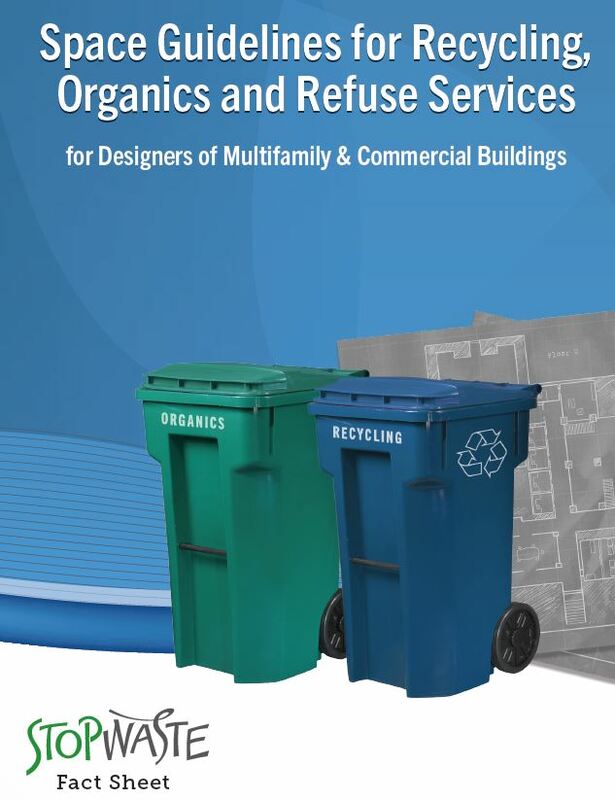 This document provides guidelines to help designers of multi-family, commercial and mixed-use buildings plan for recycling and composting collection when designing new buildings or major renovations. For detailed information on recycling vendors by material, check out our Recycle Where? database. Learn more about the free hazardous waste service for residential landlords to dispose of their tenant’s waste. This document contains the self-certification form that is required for participation.